Add a touch of festive fun to your look this season with the Women's GANT Reindeer Crew Neck Sweater, ideal for getting in the festive spirit enjoying time spent with family and friends. 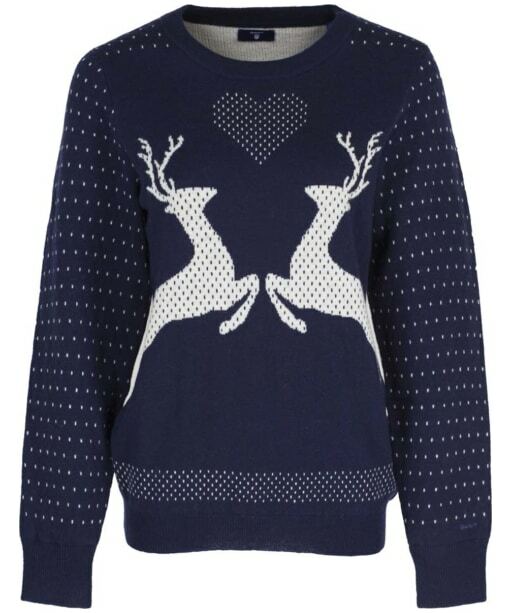 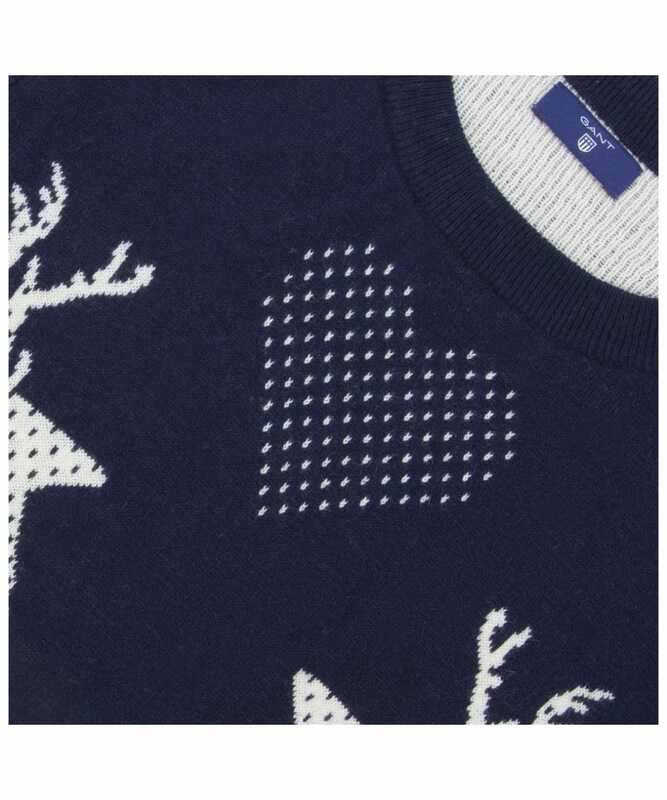 This stylish sweater features a reindeer design to the front, finished with a heart for a beautiful sweater you are sure to love! 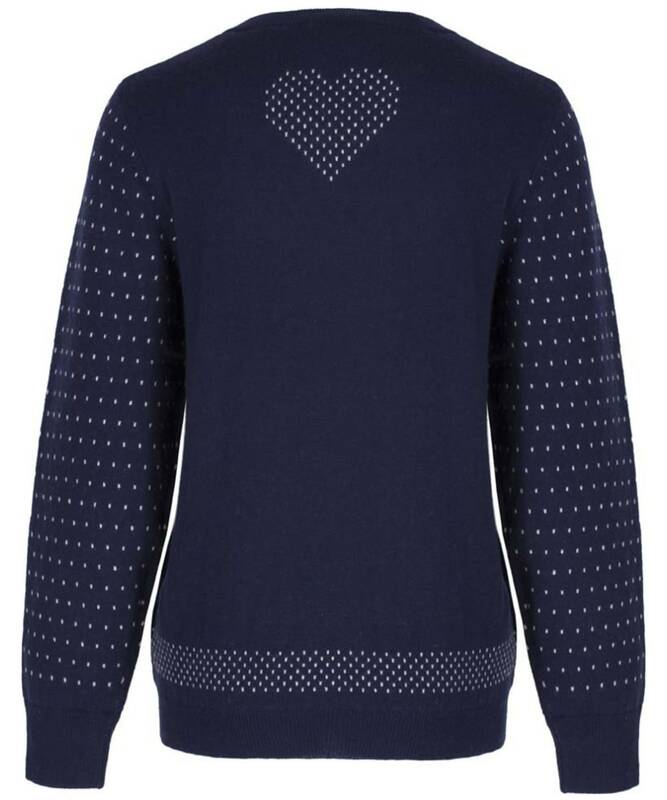 For an added touch of warmth and comfort on those colder days this season the reindeer crew neck has been crafted from a lambswool blend.